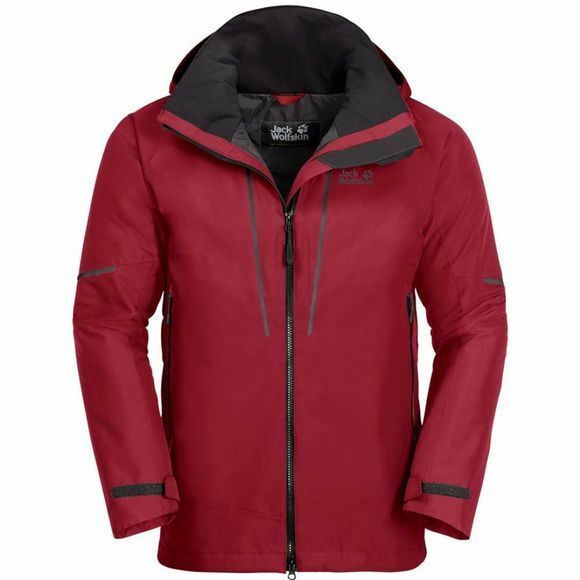 The Mens Escalente Trail Jacket from Jack Wolfskin is for all those guys out there who like to spend lots of time Outdoors In Winter but prefer to do it In an environmentally friendly way. The Jacket is made almost entirely from recycled materials, so you can enjoy your time Outdoors without worryIng about your carbon footPrint.The Texapore Ecosphere fabric is waterproof, Windproof and very breathable, so the Escalente Trail will keep you completely dry. The Jacket features our eco-friendly Microguard Ecosphere synthetic Insulation, which is made from recycled PET bottles. The Hood gives you additional protection In the pourIng raIn; In fIne weather it can be neatly stowed In the Jacket collar. The collar itself has an extra High design for improved Wind cHill protection. And when the pace hots up and you need to vent, simply open the pit zips for an extra blast of fresh air.